elcome to the edge of the Illinois prairie, where winters are frigid, summers sizzle, and spring is an afternoon in April. 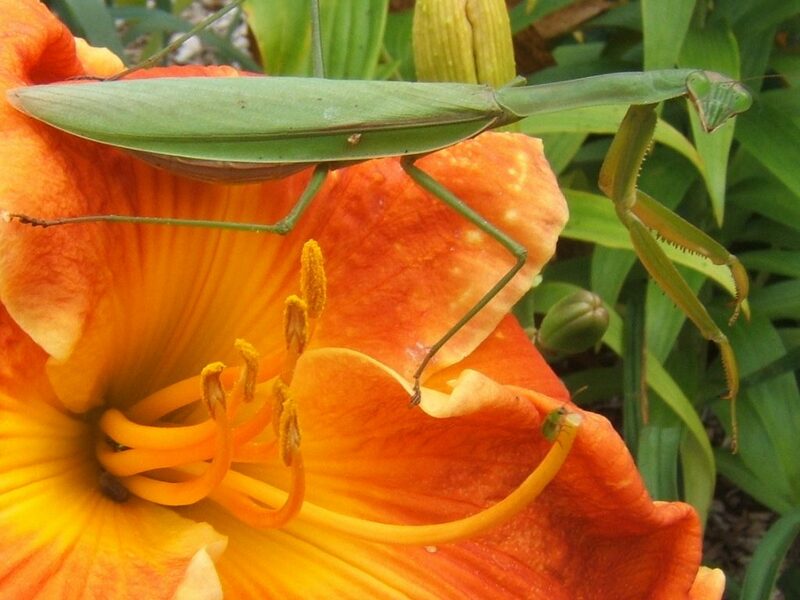 This is the perfect climate for daylilies to show their mettle. They must tolerate wind, drought, pounding rain, hail, sometimes little snow cover, and thawing when the ground is supposed to be frozen solid. They get no help from me in the way of water, fertilizer, or pesticides. Because I don’t coddle them, only the cold hardy, drought tolerant, and vigorous survive. I do water the seedlings when I first plant them, and mulch with my shredded oak leaves to help control the weeds. Some of my beds are rock hard clay, and others are rich loose loam. The daylilies prefer the loam, but prove themselves in the clay which is merely an inconvenience for them, albeit a major annoyance for me. 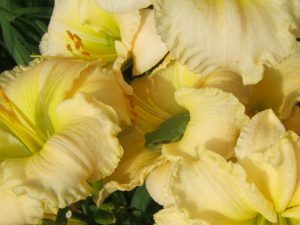 I had been growing daylilies for 25 years when I started hybridizing them in 2010. I had no idea when I first started buying daylilies that being located in Northern Illinois (hardiness zone 4b/5a) would have an effect on their bloom. They were described in the catalogs, rightly, as being hardy in this zone. But most of the ones I bought were listed as ‘rebloomers’, which they never did in my garden. It wasn’t until I came in contact with an Ohio hybridizer that I learned that it was because our season is so much shorter than what the plants enjoyed much further south, where they were bred. This motivated me to start my adventure in hybridizing, with ‘Northern Instant Rebloom’ as my primary goal. Instant rebloom occurs when a second scape emerges from the same fan where the first scape is already blooming. 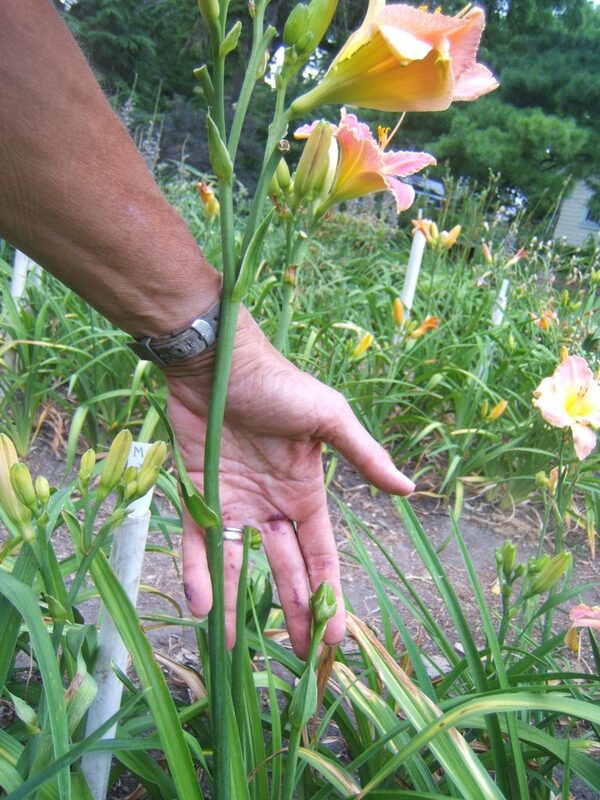 In ‘regular’ rebloom, the 2nd scape usually comes from a new fan that develops during the summer. We don’t have time for that in the north. Even if a new fan does send up a scape, the flowers don’t open well, due to the fact that late in the growing season, the nights are too chilly. Because there were not many northern instant rebloomers available when I started, I had limited genetics to work with. Since then, I have acquired hardy, vigorous plants from other northern hybridizers, and have a lot of very promising ‘Northern Instant Rebloom’ seedlings waiting in line for their final evaluations.